Are you looking for a Charlotte Mason curriculum for your homeschool? 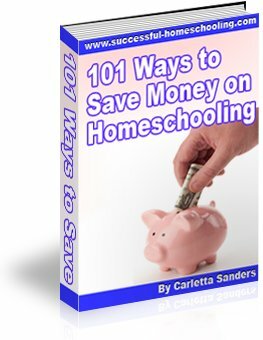 This page lists home school programs that complement the CM method of homeschooling. Ambleside Online - Ambleside Online is a free Charlotte Mason homeschool curriculum. Its booklists and weekly schedules are available in their entirety online. The program relies on as many free online books as possible. English for the Thoughtful Child - English for the Thoughtful Child is a CM style language arts program that provides a gentle introduction to grammar and writing using narration, memorization, composition and language exercises. Five in a Row - Five in a Row employs a unit study approach to teach social studies, language, art, applied Math, and science. It's emphasis on great literature compliments the Charlotte Mason method of homeschooling. Language Lessons for the Very Young - Language Lessons for the Very Young is a language arts program that utilizes the CM principles of picture study, narration, copywork, dictation, poetry appreciation, creative writing, gentle grammar instruction. Old Fashioned Education - Old Fashioned Education is a free curriculum that combines the use of living books with a more structured textbook approach to learning. Primary Language Lessons - Primary Language Lessons is an English grammar drill book written in early 20th century by Emma Serl. The book employs short, imaginative lessons in English usage, composition, punctuation, memorization, reading and art observation. Sonlight Curriculum - Sonlight is a complete home school curriculum whose literature-based methods are enjoyed by many CM homeschoolers. Winter Promise - Winter Promise is a literature-based program that also utilizes projects and hands-on activities that are consistent with the Charlotte Mason approach. Queen Homeschool Supplies is a family-owned business located near Pittsburgh, PA that specializes in selling Charlotte Mason Curriculum. For tips on designing your own CM program, read For the Children's Sake by Susan Schaeffer Macaulay and A Charlotte Mason Education by Catherine Levison. For information about Charlotte Mason's thoughts on parental authority and building good habits in children, download Smooth and Easy Days and Masterly Inactivity, two FREE e-books from Simply Charlotte Mason. The Handbook of Nature Study by Anna Botsford Comstock is an awesome CM style, nature study resource. Follow this link to read a summary of the principles of the Charlotte Mason method of homeschooling. Here are the full transcripts of part 1 and part 2 of my interview with Catherine Levison, author of A Charlotte Mason Education.